I smiled as my three-year-old daughter Lexi sang and danced along to the song she learnt in her first dance class at Stepping Out Studios earlier that day. Although class had ended hours before, her excitement remained undiminished as she showed me her new moves over and over. When we entered Stepping Out Studios that morning, I didn’t know what to expect. I was there to bring Lexi and my older daughter Chloe to trial dance classes. Like most kids, since they were little, my daughters enjoyed music and dancing. 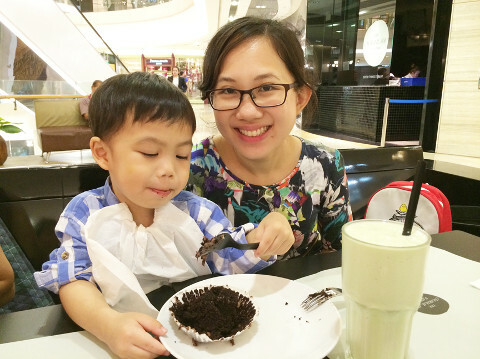 As a parent, I wanted to nurture my kids’ interest by providing a way for them to explore it further. 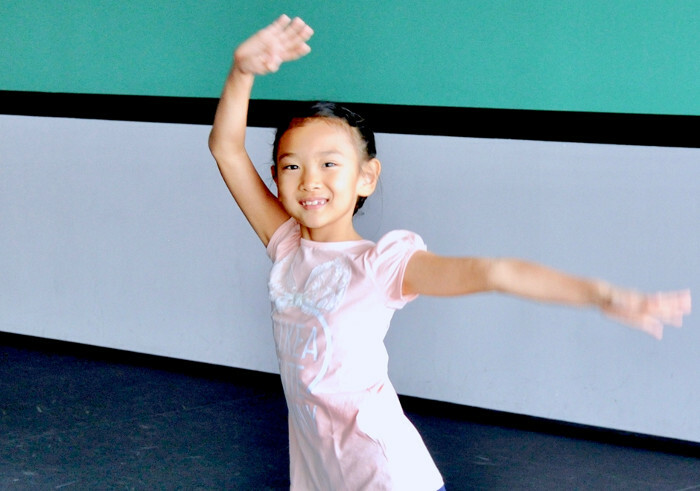 Opened in 2014, Stepping Out Studios is a place where both passion and technical skills in dance could be cultivated in children and adults alike. 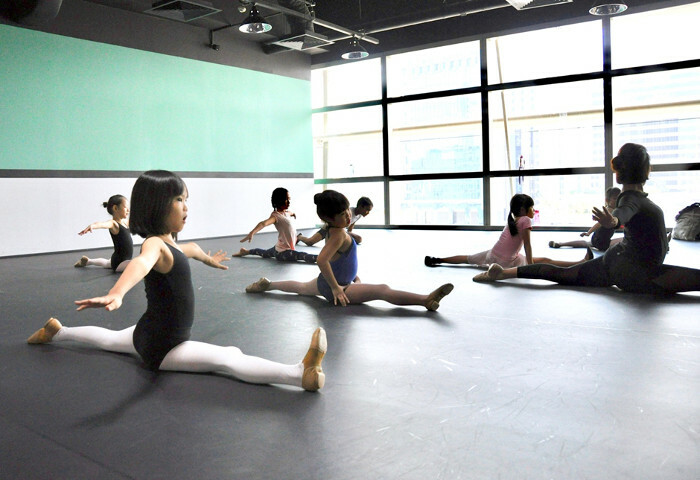 It offers a wide range of dance classes including Ballet, Jazz, Tap, Hip Hop and Contemporary. 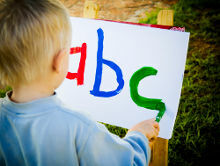 There are even classes for kids as young as 18 months. Upon entering Stepping Out Studios, located conveniently in City Square Mall, I felt the “buzz” and heard the happy chatter of children – a good sign that they were excited to be there. 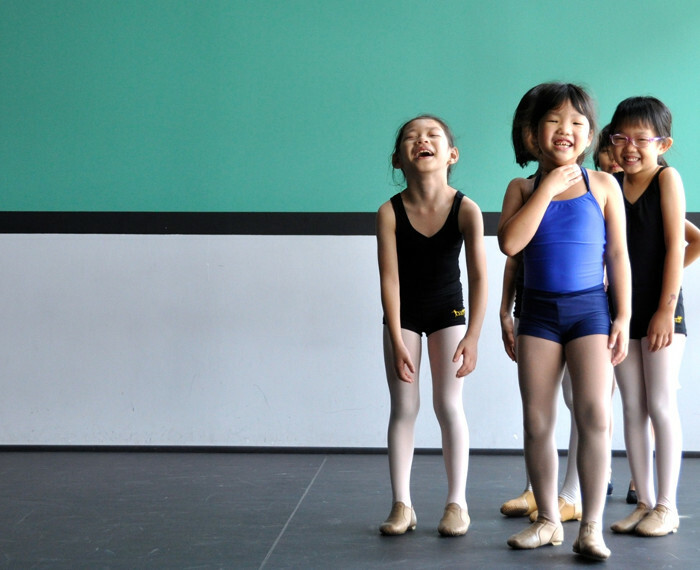 They greeted their dance instructor, Ms. Adeline, with excitement before dashing into class. Their positivity was infectious; my kids and I were curious to see what the classes were all about. Students having fun playing “under the bridge” before the start of class. Offered as a part of Stepping Out Studios’ pre-school programme, Lexi’s Melody Bear class was held in a spacious studio. 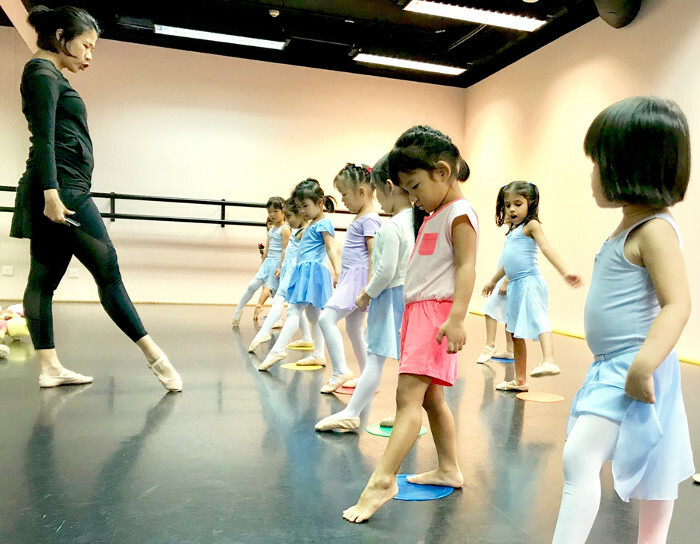 The programme introduces pre-schoolers to the concepts of ballet, tap, music and movement while developing their motor skills. Kids get to dance alongside the cute Melody Bear, a delightful way to engage them in class. I also loved that they could bring their own soft toy to dance with, be it a teddy bear or plush doll. Lexi (right), enjoyed learning new poses and was engaged during the whole trial class at Stepping Out Studios. 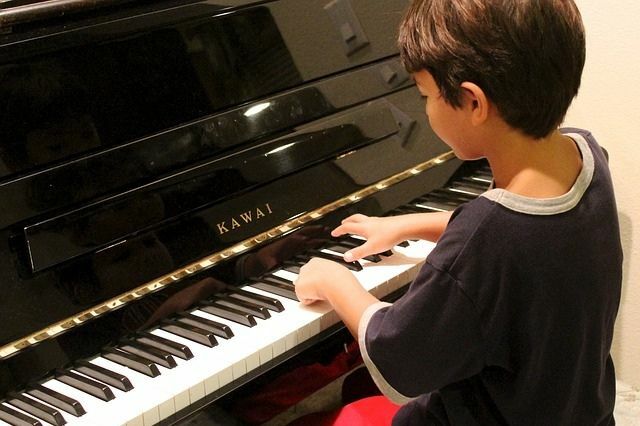 Kids get to be their playful selves in Melody Bear while learning a lot. They are introduced to fundamental dance movement through natural body actions such as skipping, running and walking. 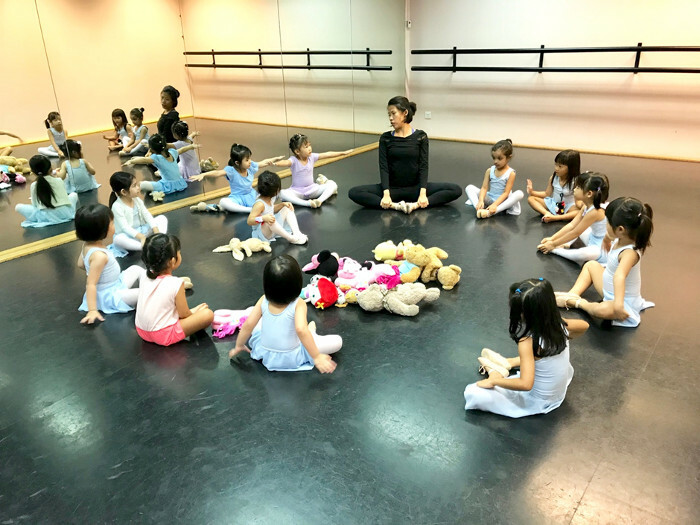 Lively Warm-Up and Stretches: At the start of class, the kids piled all their soft toys at the centre as they stretched, hopped, balanced on one leg, galloped at a speed, then slowed to a snail-like pace and moved their arms and bodies to the tune of cheerful music. It was such a lively warm-up session. The kids piled all their soft toys at the centre during stretches and warm-up. Rock-A-Bye Your Bear: Standing on colourful “dots” (spot markers), the kids sang along to “Rock-A-Bye Your Bear” and used their soft toys as props for rocking, swinging, twirling and other dance moves in unison. It was a creative way to bring in a child’s favourite toy to facilitate learning about music and movement (and it was effective too). Expression in dancing: Through a song about Goldilocks and the Three Bears, the kids acted out the characters being angry, happy, and silly with their facial expressions and imaginative movements. I laughed when I saw Lexi stomping in a circle with her face all scrunched up. I observed how, through a simple and playful activity like this, children learnt to creatively express themselves and convey their emotions to connect with others. In fact, evidence shows that movement and expression in dancing can help boost children’s empathy and social-emotional skills. Posture: “Pretend you’re wearing a crown,” Ms. Adeline said. “You have to hold your heads high, otherwise your crown might fall down.” It worked. 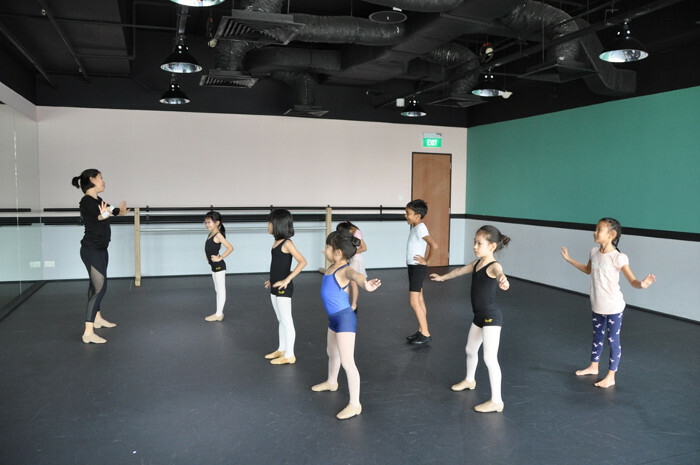 The kids showed terrific posture, standing straight as they practised pointing their toes and flexing their feet. None of their invisible crowns fell off, of course. Look at those cute pointy toes! 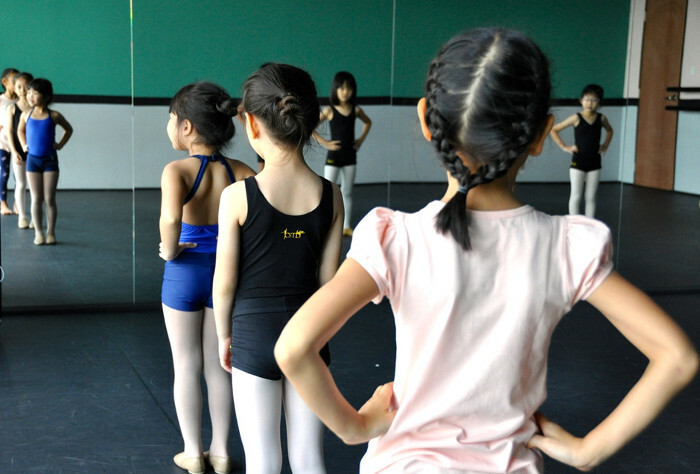 Stepping Out Studios offers more than 100 dance classes a week, with kids’ dance classes covering Ballet, Hip Hop, Jazz, Acrobatics and more. For my older daughter Chloe’s trial class, I chose Pre-Modern Jazz, held in a bright and spacious room with floor-to-ceiling windows. Strengthening exercises and stretches: Breaking a sweat to catchy pop/rock songs? Yes, please. The atmosphere was full of energy as the kids warmed up to the sound of Katy Perry. I was impressed by the versatile exercises and stretches they did to build their strength and flexibility. For instance, in addition to doing splits, they also did lunges and burpees. Ms. Adeline counted in sets of 8 as the kids marched and galloped in pairs on these exact counts. Once they reached the other end of the room, they each struck a bold pose of their own choice to the sound of cheers from the whole class. Overall, there was an emphasis on keeping track of timing and dancing in unison to the rhythm. Sharing a laugh right before they were about to gallop across the room in pairs. Learning dance seemed all the more fun in this vibrant and positive atmosphere. Technique: When Ms. Adeline taught the kids crossing over and tapping and they mirrored the steps back to her, I was reminded that dancing takes a lot more concentration than one may think. 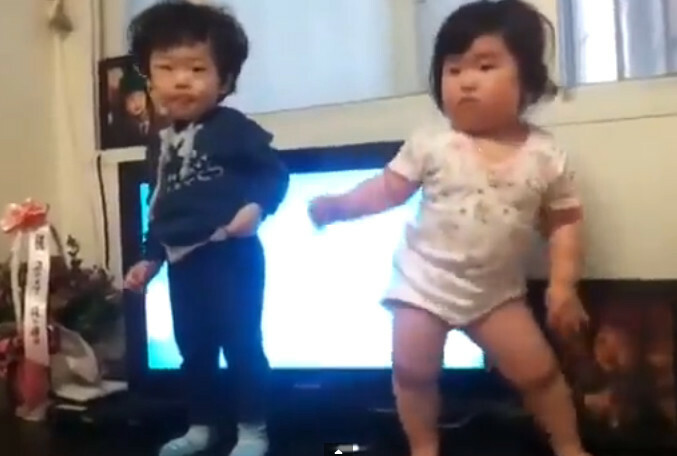 When performing a dance, children have to retrieve the steps from their memory, with awareness of the space around them while moving in rhythm. The positive and friendly environment in this class definitely helped. When Chloe struggled with the next move in a dance, her neighbour readily demonstrated it to her. Rehearsing a dance for an upcoming performance. After getting her end-of-class sticker, Chloe told me that she had a blast. I would add that she also learned a lot. The whole session felt fun and comprehensive, encouraging creativity and expression in movement while honing dancing techniques. For Chloe (above), who is in Primary 2, dancing provides a nice break from doing homework. I see dance class as a way to inject more play and enjoyment while learning new skills for a more well-rounded childhood. 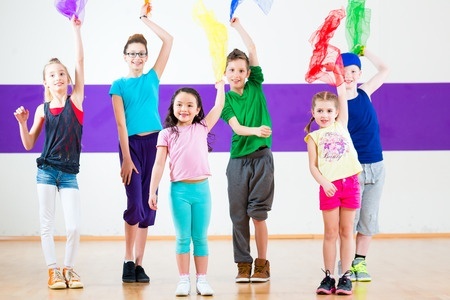 If your kid loves dancing, consider enrolling them in a fun and engaging dance class. 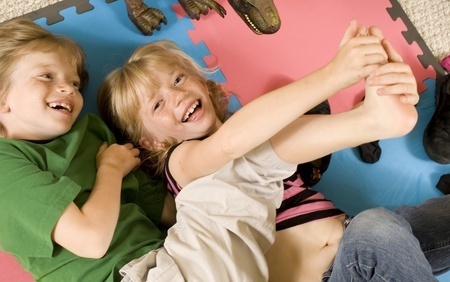 The benefits are aplenty: It not only improves children’s physical development, but their cognitive and social-emotional development as well. 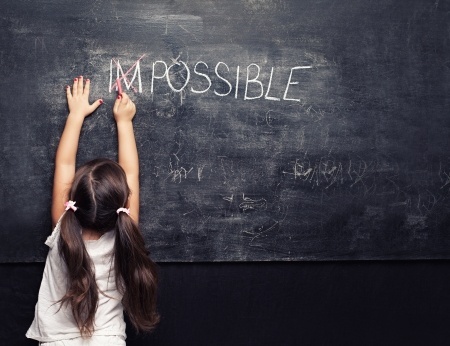 The skills that kids learn in dance class – memory retrieval, self-discipline, focus, imagination, coordination and confidence – can be applied to other areas of learning, too. 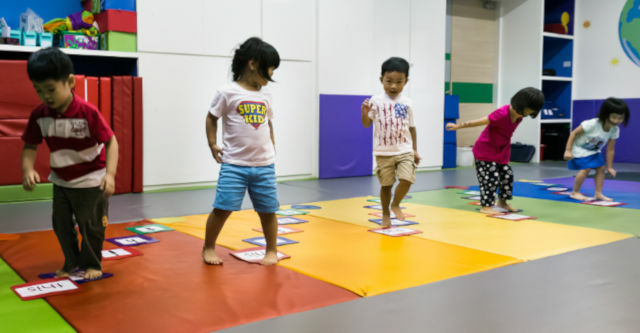 Cultivate your child’s talent and give them the chance to enjoy far-reaching benefits of dance today at Stepping Out Studios’ fun-filled classes.